The mountainous region of Ladakh, in northern India, lies in a tense location between disputed Kashmir and Tibet. 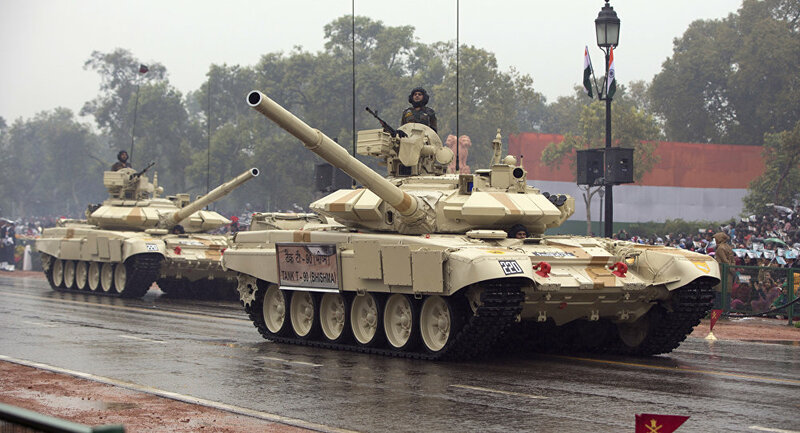 In an effort to boost its military presence in the area, the Indian military has sent Russian-made T-72 tanks to Ladakh’s Chinese border. “The vast flat valleys along the mountain ranges allow for armored movement; besides, there has been an increase in the force levels across the border,” an unnamed military official told NDTV. The tanks have undergone significant upgrades to be better outfitted for the region’s climate. “We have procured special additives and lubricants for high-altitude terrain such as winter-grade diesel and additives for the lubrication system, which prevents it from freezing in the tank,” Colonel Vijay Dalal told The Hindu. This marks the third regiment placed in Ladakh by India since 2014. Tensions between the neighbors have been building recently. Earlier this month, the Indian Navy deployed three ships to the South China Sea. “The visiting ships are also likely to conduct exercises with the Royal Malaysian Navy aimed at enhancing interoperability in communication as well as Search and Rescue procedures,” said a statement issued by India’s Defense Ministry. Malaysia is currently at odds with China over territorial claims in the waterway. Beijing and New Delhi are also competing over Nepal. While Nepalese Prime Minister Khadga Prasad Sharma Oli has expressed an interest in working more closely with the Chinese government, India is unlikely to surrender its own influence over Kathmandu. A tank that can effectively conduct combat operations inside a city has been constructed by Russia’s Uralvagonzavod. The tank was constructed taking into consideration conflicts in Syria and the Middle East. Countries with the most massive armed main battle tanks of the second generation, the T-72, now do not have to worry about what to do with the aging equipment and the transition of military operations to urban areas. The creators of the tank, the Russian Corporation Uralvagonzavod, have figured out how to modernize the T-72 to effectively combat in urban environments. As explained by the Deputy Director for Special Equipment of Uralvagonzavod, Vyacheslav Halitov, the project is based on the experience of the war in Syria. To give the T-72 a new life, first of all it was important to increase its firepower: to establish a more effective fire gun using the ‘Sosna’ target system with a new regulator and an electromechanical drive. It was important to use an upgraded 2A46M gun with a modified rocket fire autoloader. The new engine has a 1000HP engine and automatic gear change, just like the modern T-90S tanks. “We have made this cabin with windows which give it all-round visibility, but most of it is closed, there is a bulletproof mechanism,” the deputy head of Uralvagonzavod said. The modernized T-72 tank is equipped with elements of electronic warfare that can interfere with the ammunition heading in its direction. Halitov also said that the militants are currently using radio-controlled missiles and it is necessary to extinguish their signals over a very wide range, which is particularly important in urban areas. “We have installed equipment, which suppresses radio-controlled explosive devices. It has two antenna devices behind the tower and an apparatus that can suppress all signals going to the explosive mechanism,” he added. 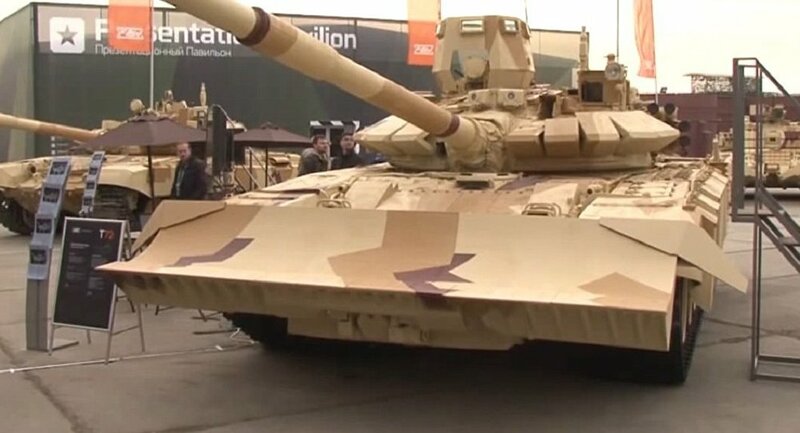 The upgraded T-72 tank equipped with a fire control system and a thermal imager will be shown for the first time to potential customers June 2 – 5 in Kazakhstan during the IV exhibition, KADEX 2016, in Astana. 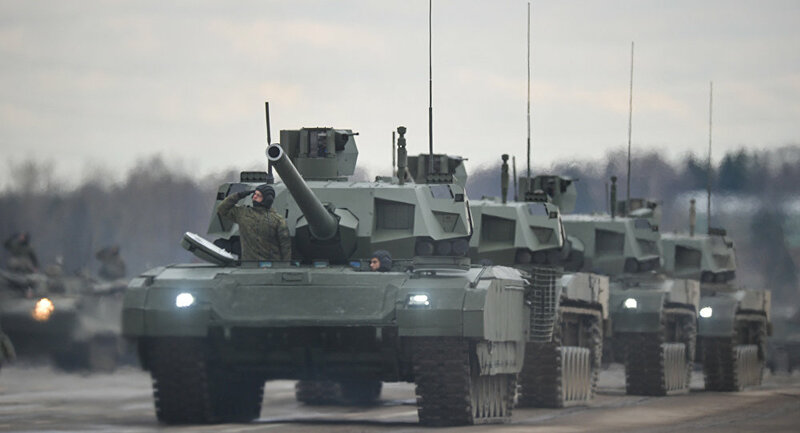 As reported in Rosoboronexport, 40 enterprises from Russia’s military-industrial complex will demonstrate around 250 pieces of military equipment during the exhibition. TEL AVIV The Magach tank, based on the US tank M48 Patton, was seized by the Syrian troops during the battle of Sultan Yacoub and then sent to Russia where it was exhibited in the tank museum. “At the end of the week, Israel got the notification that Russian President Vladimir Putin acceded to the request of Prime Minister Benjamin Netanyahu to return the tank that the Syrians gave the Russian army and that is now being exhibited in the tank museum,” the statement of the Israeli government’s press service said. An Israeli military delegation is currently working out details for the tank’s return with Russian counterparts in Moscow. “I thank Russian President Vladimir Putin for acceding to my request to return to Israel the tank from the Battle of Sultan Yacoub,” Prime Minister Benjamin Netanyahu said in a statement published on the website of his office. “To the families of MIAs Zechariah Baumel, Zvi Feldman and Yehudah Katz, there has been nothing to remember the boys by and no grave to visit for 34 years now. The tank is the only evidence of the battle and now it is coming back to Israel thanks to President Putin’s response to my request,” Netanyahu stated.